I've had a few requests from other authors about how to get the most out of writing on Wattpad. I promised them a blog about it, so here it is! First of all, here's a bit of background on my own Wattpad story. I started up an account over on Wattpad in August 2010. Now, I know that makes me sound like I've been really active over there for years now, but that isn't the truth. Back in 2010, I did what many people do. I hopped over there, started my account, posted a couple of chapters of a story, and then essentially forgot about it. Things most likely would have stayed that way if it wasn't for a non-author friend of mine contacting me about an article she'd read about a writer getting snapped up on Wattpad and getting paid a crazy amount of money for her story. At the time, I was considering writing a story that was a bit different for me - a contemporary romantic suspense. So far in my career, I'd only published full length paranormal books, and I wondered if I would be able to pull off a full length contemporary novel. I figured why not publish it, chapter by chapter, to Wattpad as I wrote it and literally get feedback from readers as the book was being written. This was back at the start of 2015, and I wrote and published 'Cut Too Deep', chapter by chapter, to Wattpad. When I started, I only had a handful of followers. It took a few chapters before things started getting rolling, and I was bringing in more readers. At the end of every chapter, I tweeted and facebooked, etc, to let all my regular readers know they could read a brand new book over there as well. I really enjoyed the process and loved reading everyone's comments as I went along. I even made serious editorial changes to the book due to certain observations the readers had made. It was like having several hundred beta readers in one spot, and you know what, most of them were really encouraging. That was almost two years ago now, and to date Cut Too Deep has had over 700,000 reads on Wattpad. It's also published as an ebook, paperback, and audio, and is one of my best ever sellers. But you guys are here for tips on how to make Wattpad work for you, so I'll shut up and write some down. 1.) Enjoy it! 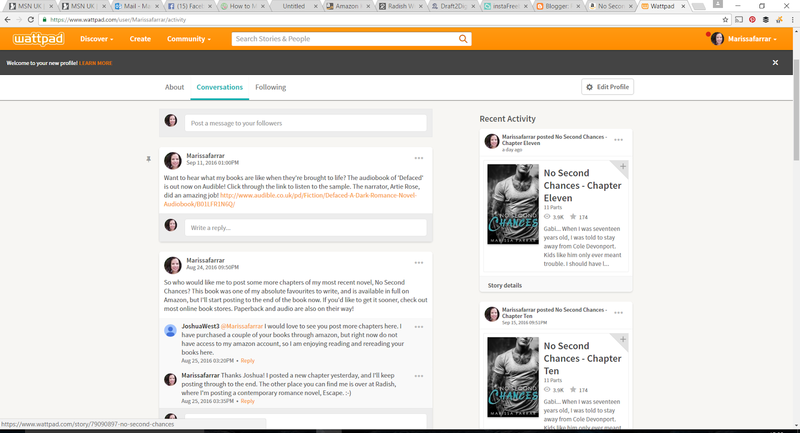 This is going to seem a bit obvious perhaps, but Wattpad is just like any other social media. You have to get involved. Comment on other people's works, add them to your library. If someone leaves you a comment or a message, reply to it. 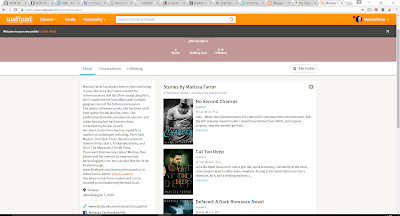 Wattpad is social media for readers and writers. If you don't put yourself into it, you won't get anything out. 2.) Post a new chapter every couple of days. This will keep your readers interested and excited about your story, and won't give then the chance to forget you. 3.) Tweet/facebook/pin your new chapter. 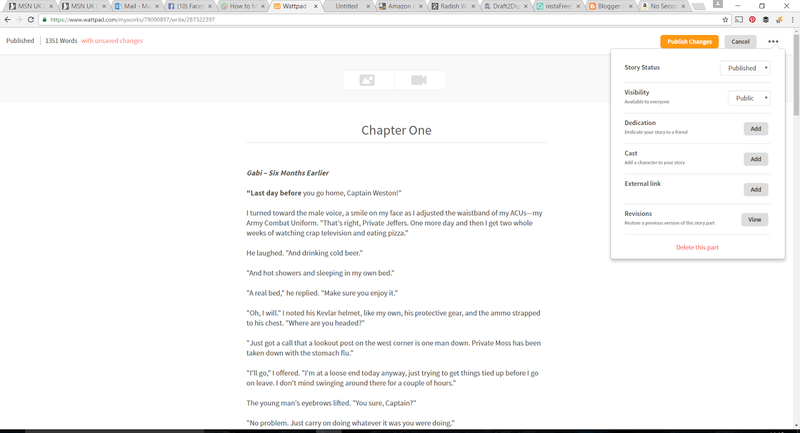 As soon as you hit publish, Wattpad brings up all the little icons that allow you to do this just by the click of a button. You want people to know about your story, so use the tools they give you. 4.) At the bottom of your chapter, ask people to vote for your story or leave you a comment. Sometimes people just forget to do so, and there's no harm in asking. 5.) If you're posting an already published book, make sure you link to it on Amazon. 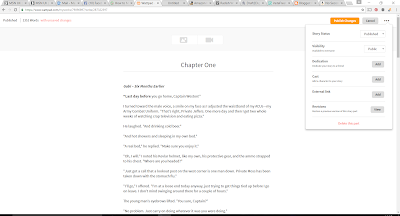 You can do this by clicking on the three dots on the right hand upper corner of the chapter you are editing, under 'external link'. 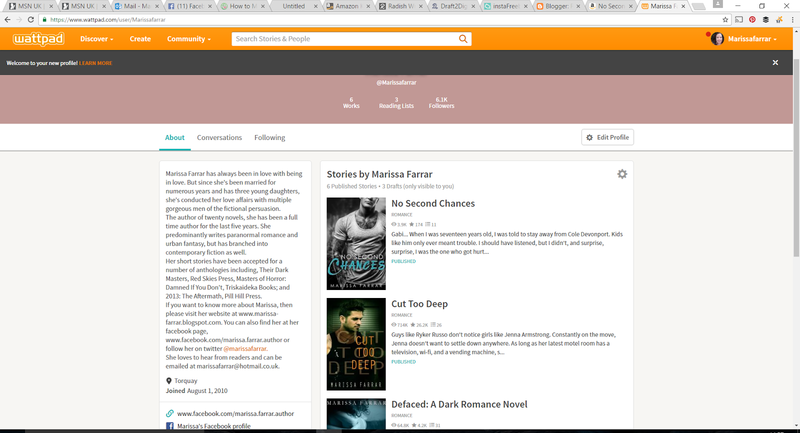 You can also add in images of your characters, or dedicate your book to another Wattpad user. 6.) If your book has sexual content, you can mark it as 'Mature' to stop younger people accessing it. If you don't mark it as mature, but then a Wattpad reader notices you have adult content in your book, they will mark it as mature for you, and you can't change this. It's easier to do it yourself. Most of my books have adult content, but not straight erotica. Wattpad doesn't like erotica. 7.) Once you have a completed story, apply for a feature. You have to commit to leave your book on Wattpad for six months, but it's definitely worth it. Cut Too Deep was featured, and this is what's built the vast majority of my followers. 8.) How to decide what to post? I tend to post my first in series books, in the hope that people will go on to buy the next books in the series (I've been contacted by Wattpad users to say this is what they've done, so it does work, though you'll also have people complaining that they want to read it all on Wattpad for free!). I also post the first few chapters of new books, and then link them to amazon, together with teasers, to get people interested. More recently, I've been posting my newer, full length, standalone books because I've wanted to position myself ready for the Wattpad Futures program (where writers will be paid in return for ads being shown in their stories). 9.) Use your profile! Make sure you have a good bio, and link to all the places readers can find you! 10.) The 'conversations' tab is like your very own mailing list to your Wattpad readers. You can post info about new releases, or any other news here, and if you click 'notify my followers' that message will end up the email inbox of all your followers, as well as on Wattpad! Okay, I think that's it, though I'm sure I've missed something vitally important out! If you've got any other questions, just ask away in the comments. Also, come and check me out on Wattpad. https://www.wattpad.com/user/Marissafarrar If you shoot me a message, and ask me to follow you back (mention you've come from my blog), then I will do! Thank you for the blog post, Marissa!